I am using windows 8 Chinese language operation system. 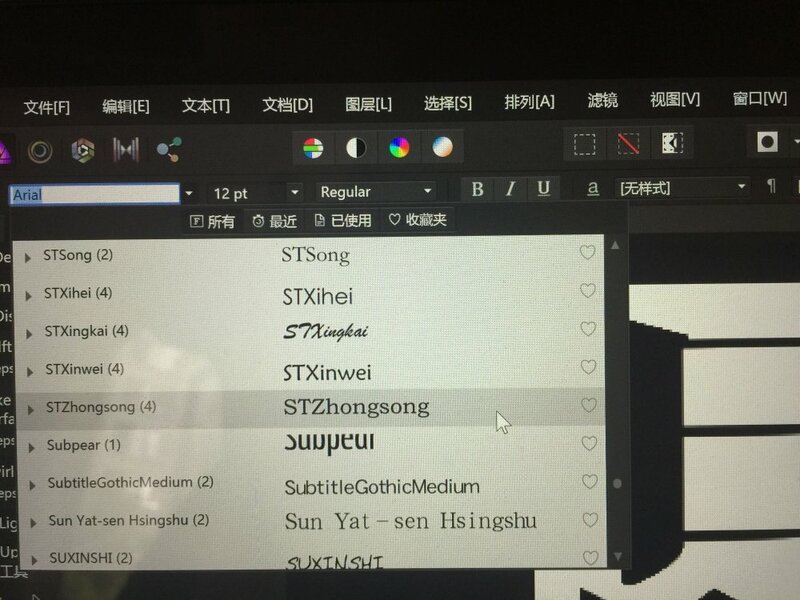 My Affinity Photo 1.6.5 do load fonts but almost all font name becomes English characters. It is really hard to find a font in that list. Could you please help chinese user like me to enhance this issue? Screen shot and some font files are attached. If you have any question or needs please let me know. Font names displaying in their native language is something that has been requested in the past as is something we may consider for a future update.